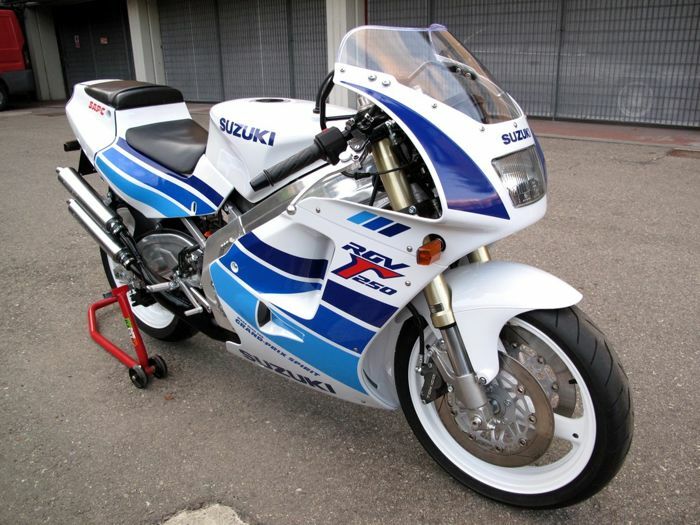 World Super Bike News 2015. Warm up laps at Phillip Island. 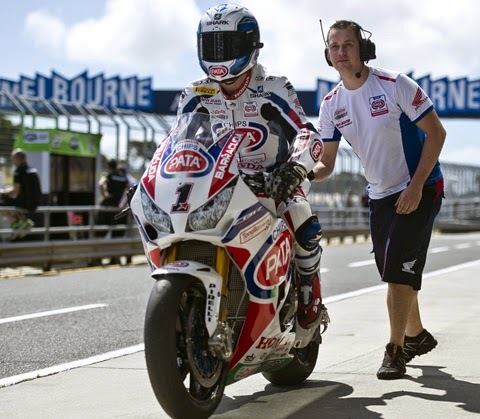 Traditional official test at Phillip Island, a prelude to the World Superbike opening race in Australia, have just ended. Led by Lowes and Rea, British and Spanish pilots are sharpened. And our French? British and Spaniards at the forefront. 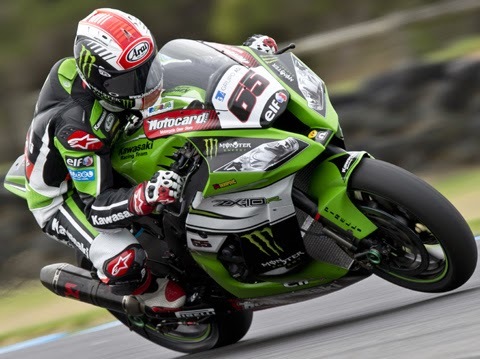 Dominated last year by the champion Tom Sykes and Kawasaki, the official tests at Phillip Island just been won in 2015 by Alex Lowes Suzuki (see lap times in the second page). No. 22 ahead of anything - but in WSBK, that's a lot - the new Ninja Jonathan Rea ... Jordi Torres and rookie Aprilia! 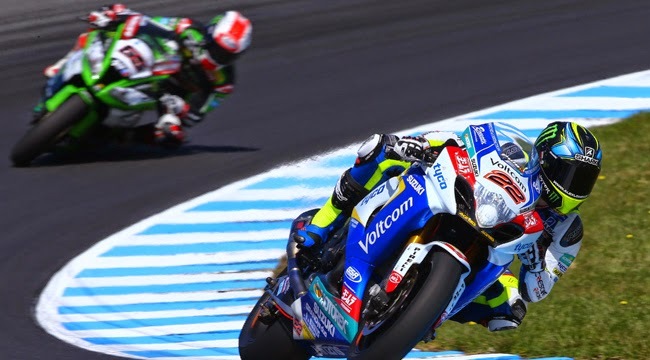 "The GSX-R is doing well now," observes Alex who will be keen to emulate his former teammate Eugene Laverty, who won the first round of the 2014 WSBK on the same track and the same bike ... almost, since the regulation was amended this winter! "We will make some adjustments during the weekend depending on the temperature and bring some small adjustments on electronics and the chassis", provides for the Suzuki rider, "but the biggest future progress will come from me, I know that there are some parts where I can drive differently. " His time of 1 '30.859 is already very fast: Despite 2015 engines less "typed" as last year, the winner of the official test turned faster than his Ducati and Chaz Davies (fastest race lap in 2014) and is within the official record of Sylvain Guintoli and his former Aprilia (Superpole last year). At 21 milliseconds Lowes (! ), Jonathan Rea confirms it will count on him this weekend ... and the whole season 2015! If "JR" left - his family - Honda Kawasaki is to become world champion, and nothing else. "I was able to do a race simulation today (tonight for us French, Ed!) And most of my times were in the 1 '31. I do not know how much it will be competitive but a beginning and we have information on which to work, "Johnny satisfied. 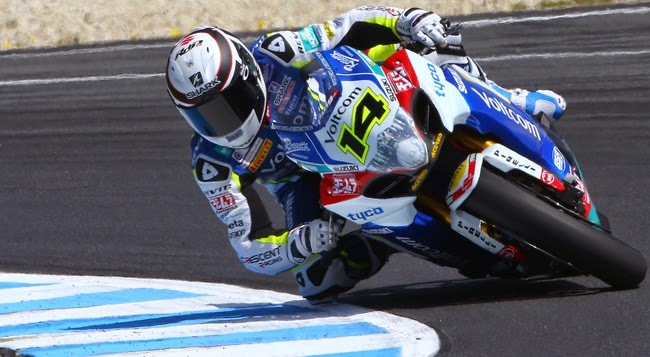 Walking through the leaves of the time, we realize that the only other driver to have chained twenty laps on the Australian tour this afternoon's Alex Lowes, and that he scrupulously kept the same rhythm ... Auspicious for Sunday's races, then! Last driver to be lowered below the 1'31 during the official test, Jordi Torres could create the sensation this weekend ... At his Aprilia RSV4 RF, the Spaniard is already ahead three heavyweights - British yet - World Superbike: Tom Sykes, Leon Haslam and Chaz Davies. Not bad for a beginner! "It was important to get back on the bike here because I have virtually no roll at the last test, I have not had the winter tests," says "Guinters." "I missed the good driving conditions in Jerez and I had to regain my confidence after heavy fall out there." The "Number One" of the discipline finally advanced to 12th place in the ranking of the two days, just behind the surprising Niccolo Canepa and 1190 RX RBE Hero ... Sylvain Barrier him, 15th class. Fell into the same corner as last year, the No. 20 BMW Italia team has identified this time unscathed. Phew! "Not much to say, the good news is that nothing is broken but my back is very painful," observes the 14 that will stain enjoy the two-day break before the free practice on Friday to pick up . French fans can rejoice however the best time in Supersport won by Vice World Champion Jules Cluzel, orders his MV Agusta F3 official. Our "Coq supersports" took advantage of these tests to break the wall of 1 '33, a first in class SSP! Our dear No. 16 beats a split second his new teammate Lorenzo Zanetti (MV Agusta No. 87) and a good half a second triple champion Kenan Sofuoglu (Kawasaki No. 54). The rookie No. 5 Faccani Marco, who teams with the Turkish pilot, signs the fourth fastest time.